When we look at student writing, we see what we choose to see. 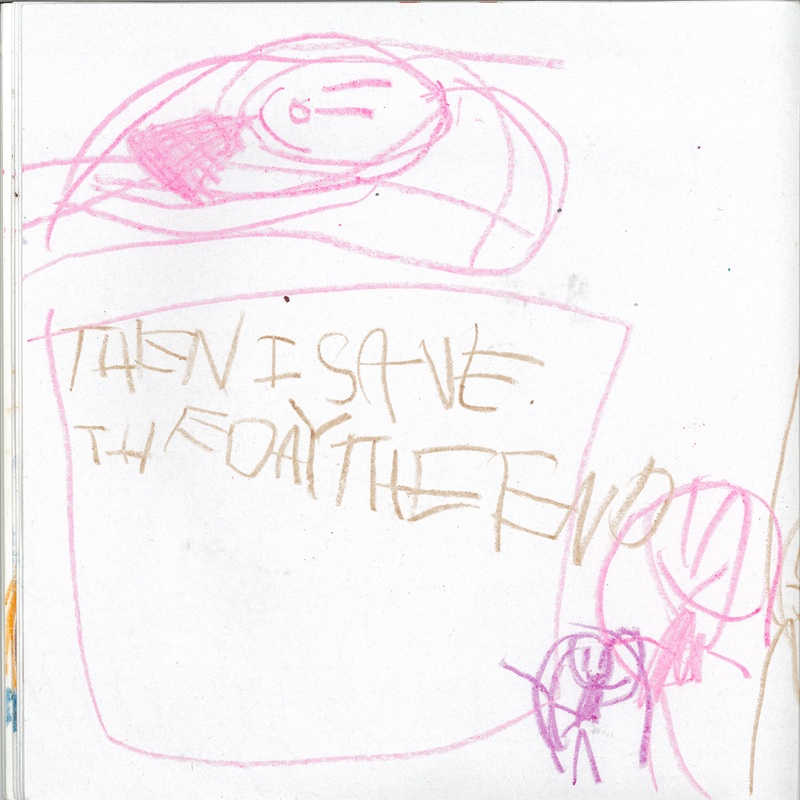 Take a look at this book, written by a preschool student. 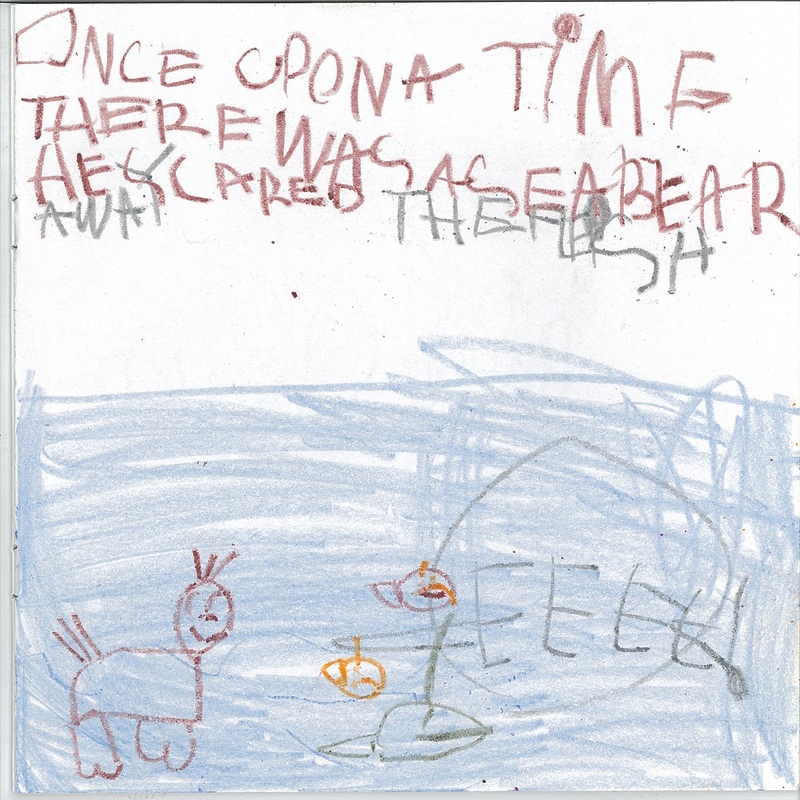 Once upon a time there was a sea bear. He scared the fish away. It was late at night and the girls were wide awake. 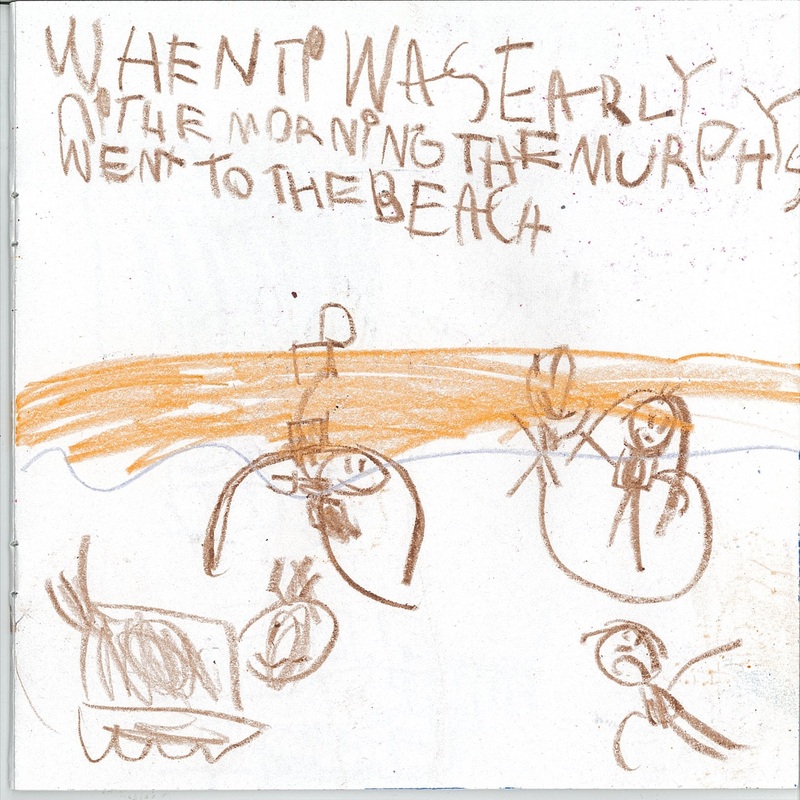 When it was early in the morning, the Murphys went to the beach. 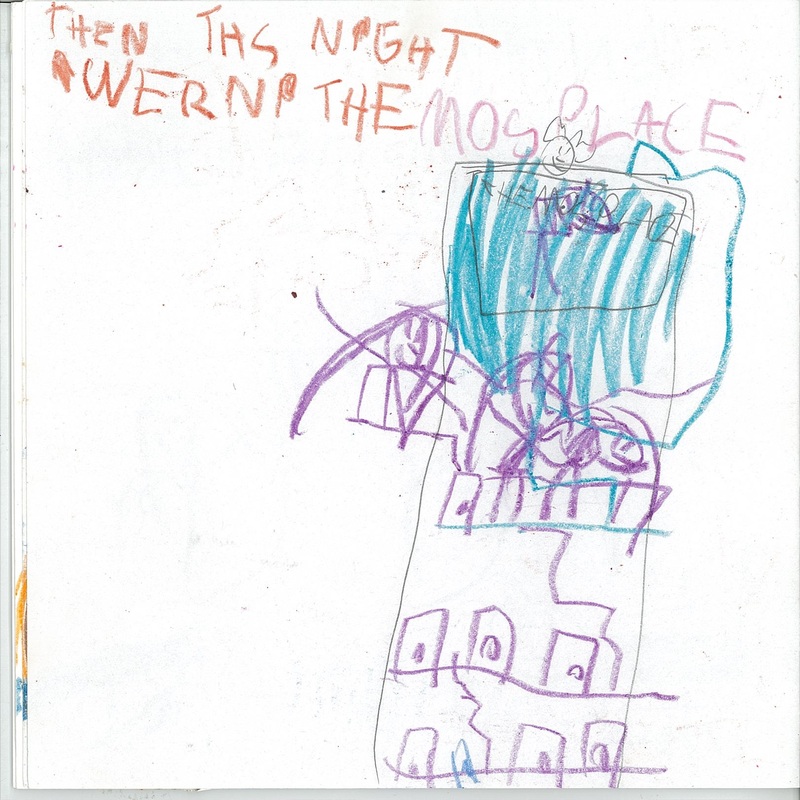 Then this night they were in the Moose Place. 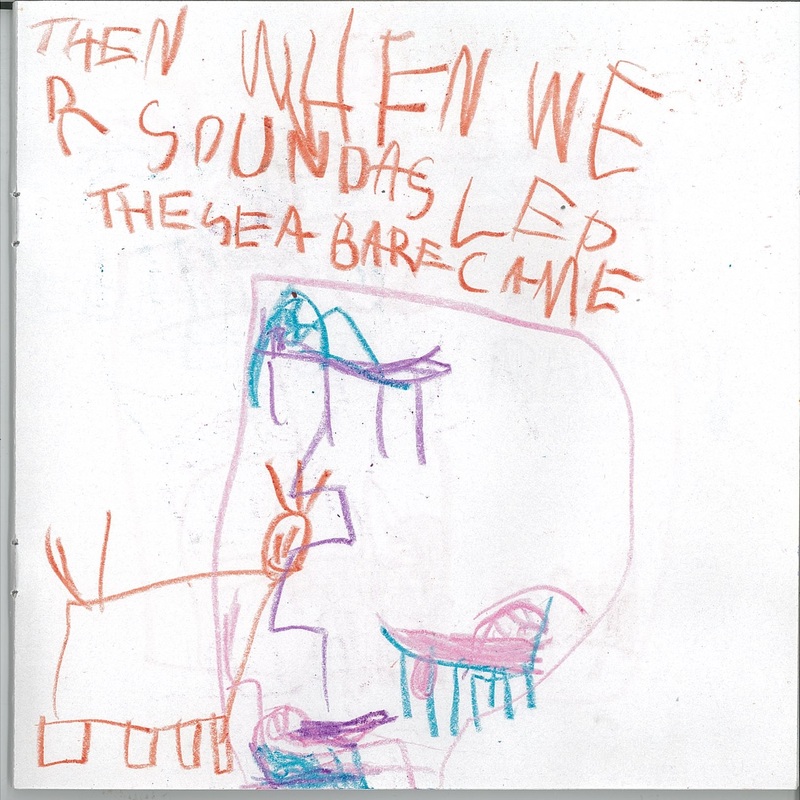 Then when we are sound asleep, the sea bear came. Katie raced into the room. Then I saved the day. The End. 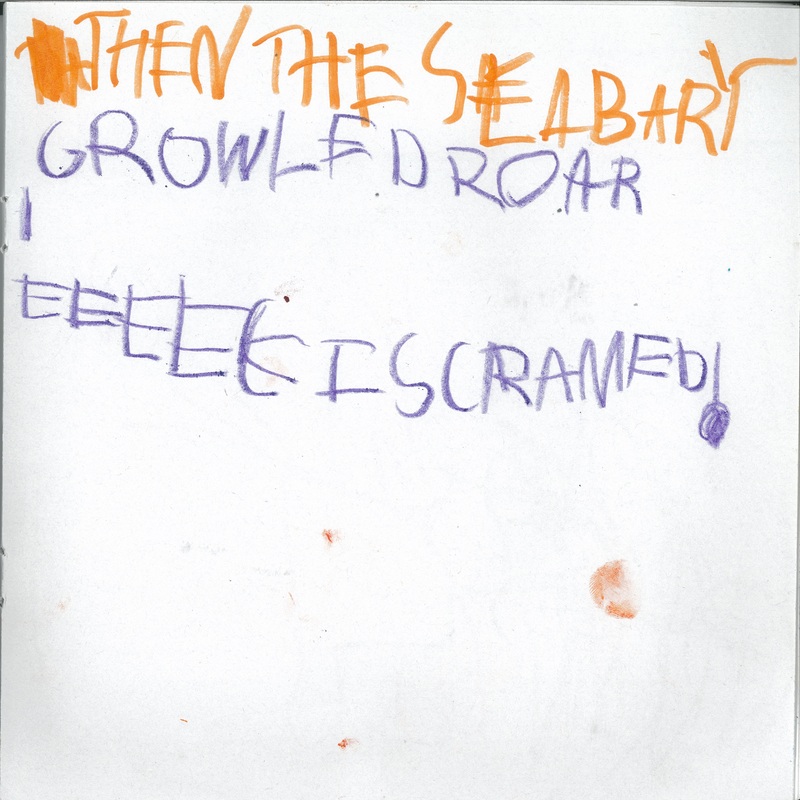 My own daughter wrote this delightful tale, so I chose to see her beautiful story language. The words from the thousands of bedtime stories we have read together at night sure showed up in her writing, didn’t they? 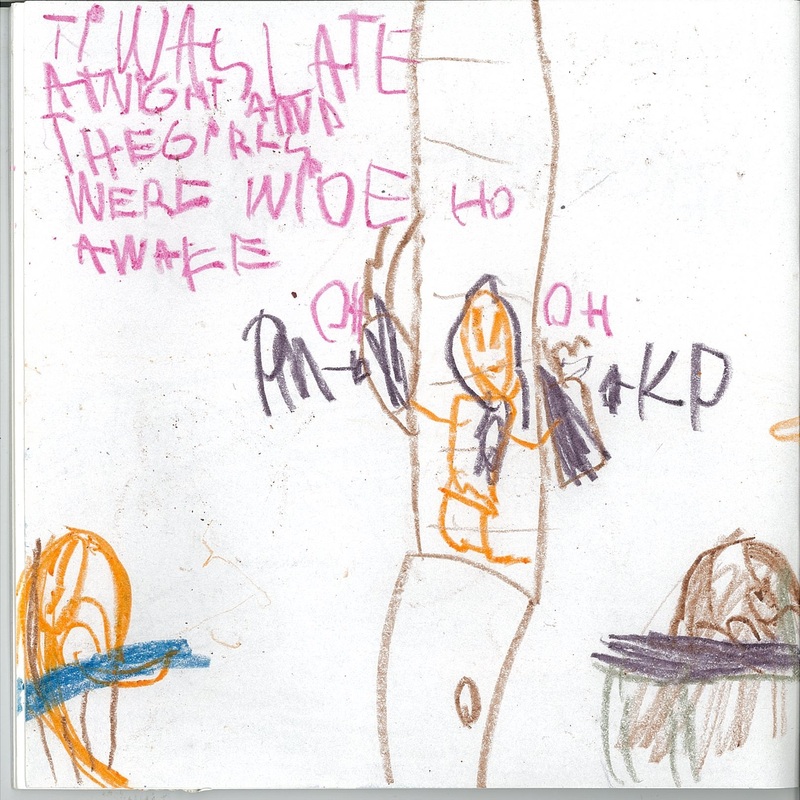 “It was late at night and the girls were wide awake…” Yep, she knows how stories sound. I was looking at this book with love in my heart, so I also chose to see the risks she took as a writer. I smiled when she used “raced” instead of ran. Brave writer. 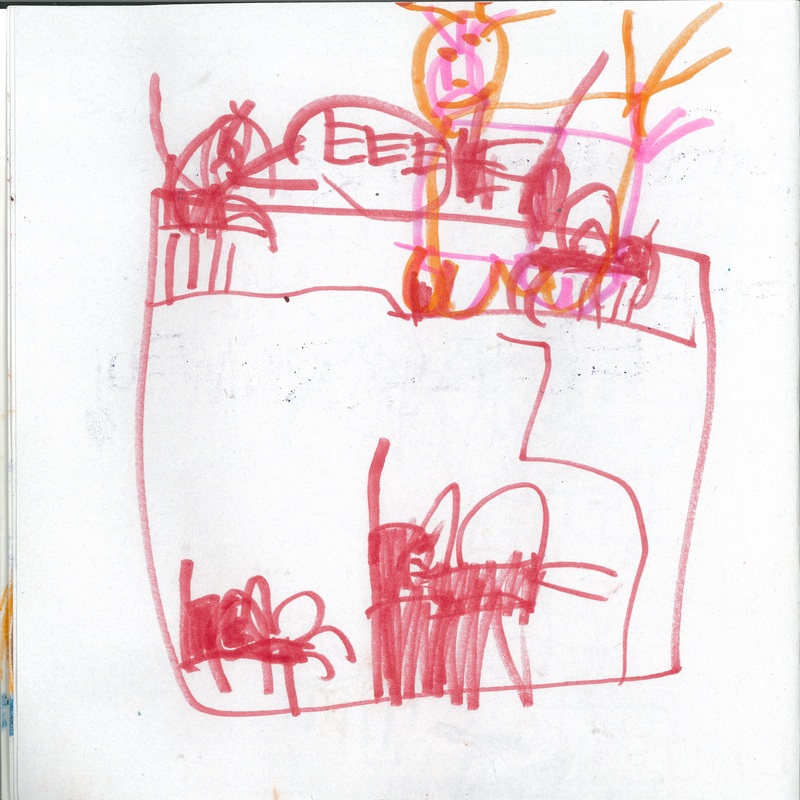 I chose to see and appreciate her drawings, so I took a moment to marvel at the three-story hotel, complete with staircases. On the other hand, I suppose I could have chosen to see the words written in all capital letters, the lack of spaces, the misspelled words. I could have noticed the lack of color variety in her illustrations. I could have, but I didn’t. I saw what I wanted to see because I looked at her writing with love. I work in a school district where we are consistently reminded in all of our meetings to start by describing a student’s strengths. I know a deficit-based approach to writing is not best practice. However, sometimes I think my teacher-eye is drawn to run-on sentences, misspelled words or poor conclusions, in spite of all I know to be true about teaching writing. If I am being honest, sometimes I guess I choose to see those things. 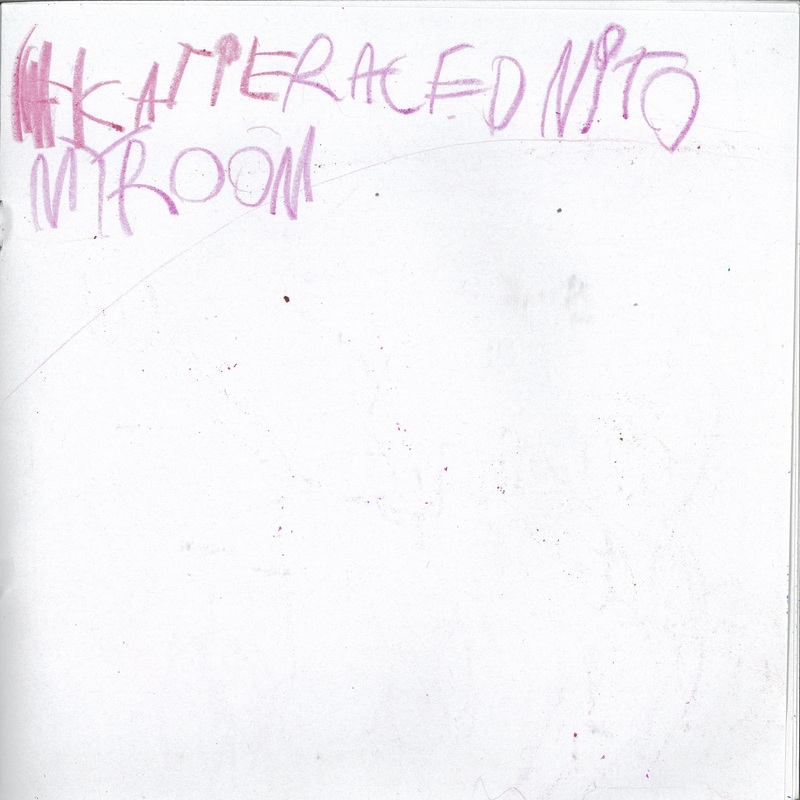 Looking at Maddie’s writing was a reminder to myself that we see what we choose to see. We decide what our reaction will be. Will we appreciate and marvel, or will we criticize and complain? Next time you are sitting with a stack of essays, notebooks or drafts on your lap, remember: you will see what you want to see. Love the story. Maddie is a wonderful writer and brings her story to life in so many ways! I agree with Stacey that her K teacher will want to hug you! Love this story. Can I get a copy when it comes out? You do know your daughter is a writer and that is what she will always be through your lens and to herself. We should all learn to look first with love. I make myself find all the positives in someone’s writing when they come to me because when I see their smiles, I remember who I am and how much power I have. Then I try to find one thing they could work on. What a beautiful story Maddie wrote. So much power in creating a full story regardless of age. I am thrilled when my story has a beginning middle and end and I’m 46! A great story. I used to give two grades to Developmental English/Writing essays: grammar/writing. That way someone could be raggedy in grammar and spelling, but if they had good organizational skill and a real introduction and conclusion, their overall grade would be OK.
What an amazing story and a skilled writer! I love the looking at strengths – to catch our children and build writers we need to work from what they know. ( She knows a lot!) I work with teachers to begin by just describing what they see – no value comments at all, no I like or don’t like. Then we move to questions we might have about the piece of work or writing. This process slows things down and allows us to really see what a student is capable of doing. Love this story! A Sea Bear is a wonderful idea. So many great stories are squelched because we only focus on conventions, etc. Noticing students’ strengths is hard for me because I was not taught that way and I have not worked with teachers who think this way. I try and I guess that is a start – but I have a long way to go! Thanks for sharing this post and your daughter’s beautiful story! Maddie’s writing is full and your lens for her work was “chosen.” I love that! Something a parent does naturally with their children. We need to be mindful of the way we chose to look at our student writers. Seeing the gems and building on them is the only way to cultivate what might be just around he corner! Thanks for this. 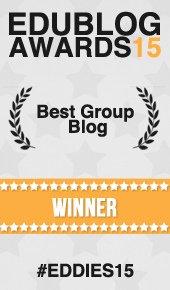 ” I know a deficit-based approach to writing is not best practice. ” I love this quote from your piece. Thank you! I love your daughter’s conclusion. She saved the day! What a beautiful piece of writing. I love the reminder of working with and celebrating strengths. This post reminded me of I am Reading. Thanks for sharing. In order to celebrate what students CAN do, we do need to notice and name all those behaviors that our authors are doing. What a reminder that our own point of view is critical! I remember celebrating when a student moved beyond “once a pond”. . . Bedtime stories are critical as are Read Alouds at school! Thanks for sharing Maddie’s writing! Such a creative story! And a very good reminder for teachers to look for the strengths. It does take a different mindset when our eyes seem immediately drawn to the “mistakes” even when we have a piece like this that demonstrates so many positive strides in the writer’s development. Good job with all those bedtime stories, Mom!